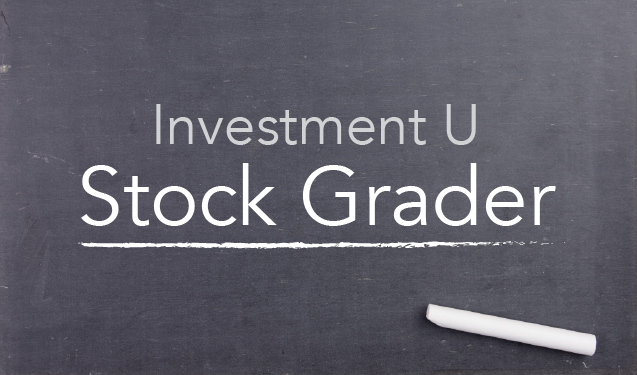 Investment U’s fundamental factor test was designed to quickly and objectively diagnose the financial health of a company. The metrics chosen weren’t random or pulled out of thin air. The Oxford Club’s research team performed extensive testing to find the right fundamental mixture. And to make sure it wasn’t just random luck, we back-tested everything over two decades to make sure any combination held up. Identifying stocks with the six specific metrics outlined below is your key to properly diagnosing the financial health of a stock. Of course, past results don’t guarantee future success, but they are the best tool we have to predict the best winners on the road ahead. Earnings-per-Share (EPS) Growth: EPS is an indicator of a company’s profitability and is considered to be one of the most important variables in determining a company’s share price. At Investment U and The Oxford Club, we look for companies that grow their earnings year-over-year. Price-to-Earnings (P/E): P/E is a valuation ratio of a company’s EPS compared to its current share price. Generally speaking, a high P/E means the market is bullish on a stock, but it can also signal that a stock is overpriced. 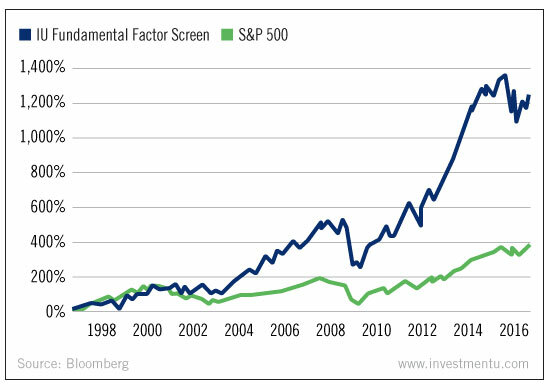 What we look for is a stock trading below its industry average. This means we can get a better deal on a stock compared to its peers. Debt-to-Equity: Debt-to-equity measures a company’s liabilities compared to its stockholders’ equity. The ratio measures a company’s financial leverage. In general, a high debt-to-equity ratio means a company has been aggressively financing its growth with debt. As with P/E, we want to see where a company stands compared to its peers since some industries are more capital-intensive than others. Free Cash Flow per Share Growth: Free cash flow (FCF) per share growth helps determine a company’s financial flexibility. It compares free cash flow to the total number of shares outstanding. At IU, we look for companies that are growing their cash flow year-over-year. In general, if a company is growing its FCF, it will be able to pay down debt, buy back stock, pay out more in dividends and/or invest money back into the business to help boost growth. Profit Margins: Profit margin is another metric that is very useful when comparing companies in the same industry. Profit margin is calculated by taking net income and dividing it by sales (revenue). While EPS is a crucial metric, it doesn’t cover the whole picture. That’s why we also like to look at profit margins. Sure, EPS could be growing, but profit margins could be decreasing. For example, sales could be up, but costs could have increased at a higher rate. This means costs need to be controlled better by management. Return on Equity: Return on equity (ROE) gives us a look at the amount of net income returned to shareholders. It tells us how much profit a company produces with the money shareholders invest. This is another metric that is useful in comparison to other companies in the same industry. Now that you know our secret fundamental recipe, it is important you take a look at our grading scale. This will help you determine whether a stock you are analyzing is a buy, sell or hold. Please note that our fundamental factor checklist is just the first step in performing your own due diligence. There are many other factors you should consider before investing. Your portfolio time horizon, cash on hand, age and risk tolerance, to name a few, should also be considered. Please check with your financial advisor before you make any decisions.